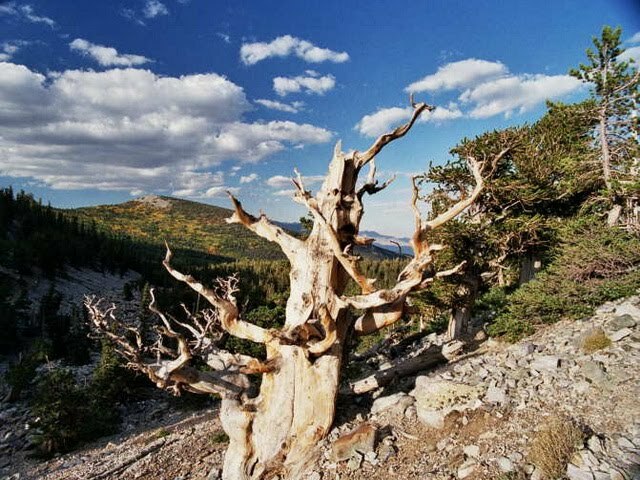 Prometheus was a member of a population of bristlecone pine trees growing near tree line on the lateral moraine of a former glacier on Wheeler Peak, in what, since 1986, has been Great Basin National Park, in eastern Nevada. Wheeler Peak is the highest mountain in the Snake Range, and the highest mountain entirely within the state of Nevada. 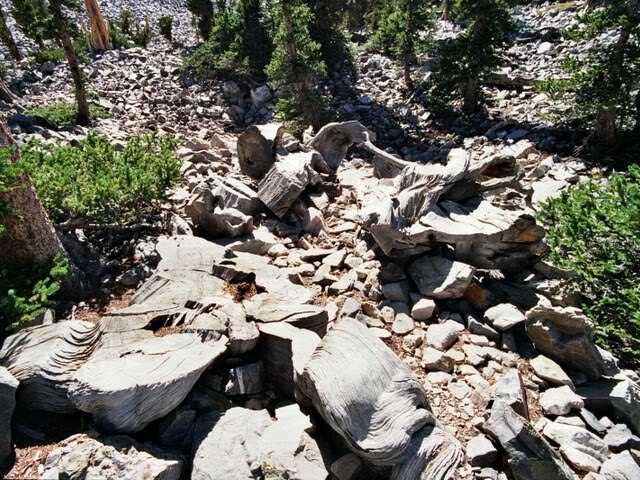 The bristlecone pine population on it is divided into (at least) two distinct sub-populations, one of which is accessible by a popular interpretive trail. Prometheus however, grew in an area reachable only by off-trail hiking. In either 1958 or 1961, a group of naturalists who admired the grove in which the tree grew gave names to a number of the largest or most distinctive trees, including Prometheus. Currey originally aged the tree at, minimally, 4844 years. A few years later, this was increased to 4862 by Donald Graybill of the University of Arizona's Laboratory of Tree-Ring Research. However, these ring counts were done on a trunk cross section taken about 2.5 m (8 feet) above the original germination point of the tree, because the innermost rings were missing below that point. Adjusting Graybill's figure of 4862 by adding in the estimated number of years required to reach this height, plus a correction for the estimated number of missing rings (which are not uncommon in trees growing at tree line), it is probable that the tree was at least 5000 years old when felled. 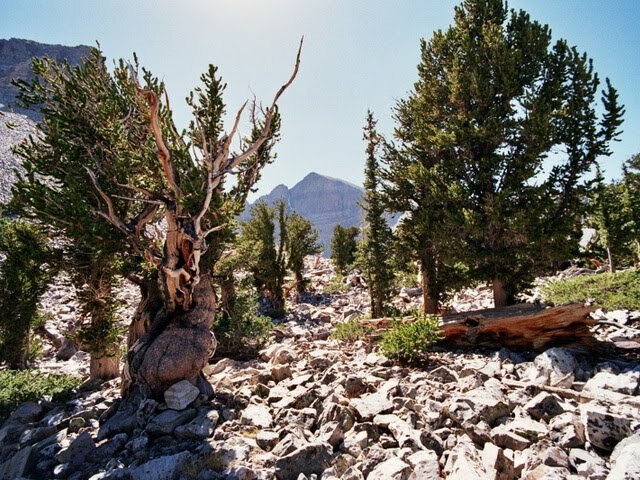 This makes it the oldest unitary (i.e non-clonal) organism ever discovered, exceeding the Methuselah tree of the White Mountains' Schulman Grove, in California by two to three hundred years. Whether Prometheus should be considered the oldest organism ever known depends on the definition of "oldest" and "organism". Certain sprouting (clonal) organisms, such as creosote bush or aspen, may have older individuals if the entire clonal organism is considered. Under this standard, the oldest living organism is a quaking aspen grove in Utah known as Pando, at perhaps as much as 80,000 years old. However, in a clonal organism the individual clonal stems are nowhere near as old, and no part of the organism at any given point in time is particularly old. Prometheus was thus the oldest non-clonal organism yet discovered, with its innermost, extant rings exceeding 4862 years of age.